Stuart’s XB was imported by him from Australia in 1998 after he moved here. While back visiting Australia and missing the big Australian Fords, he tracked this car down at a huge classic car emporium, and became its third owner. Manufactured in September, 1974, the car was sold to its first owner on the 30th of that month in Spring Hill, QLD. 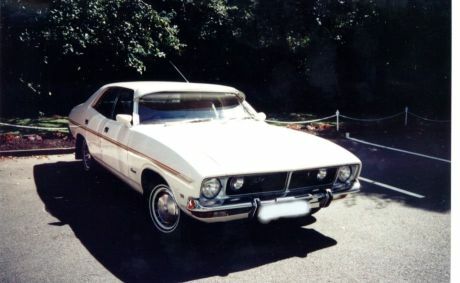 The car is fitted with the 302ci V8 engine which is unique to Australia as it is based on the Cleveland engine design family. 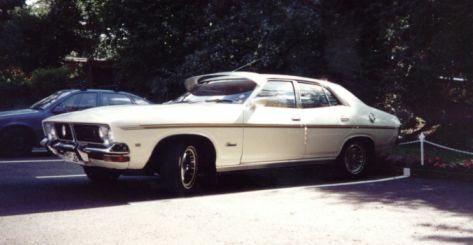 Effectively, it is a short stroke 351ci Cleveland introduced with the XA model and was extensively used throughout the Ford Australia range of vehicles. Ford U.S.A. also offered 302ci V8 engines, but these were continuations of the Windsor version engine which was an older design. Stuart’s car remains wonderfully original, still retaining its Fairmont standard full sized styled wheel covers and the extra driving lights, and featuring a no doubt essential accessory for the clear blue skies of Australia, the classic external sun visor. 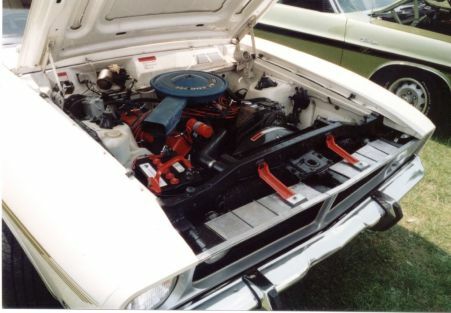 The Australia only 302ci Cleveland V8.